The first major event to use the nickname was “The Magic City Harvest Festival” in 1908. This was sponsored by the Minot Commercial Club, (the forerunner of the Chamber of Commerce.) 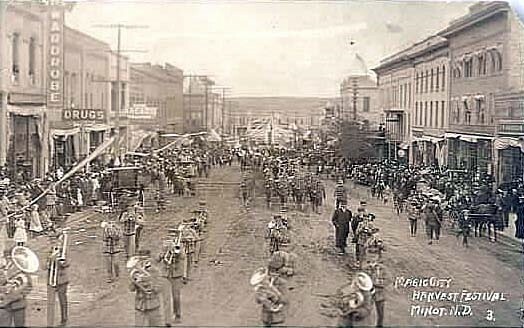 The event was held on September 28th and 29th on Main Street. It featured a large banner across Main Street titled “Welcome to the Magic City” and subtitled “The Pride of the Northwest”. 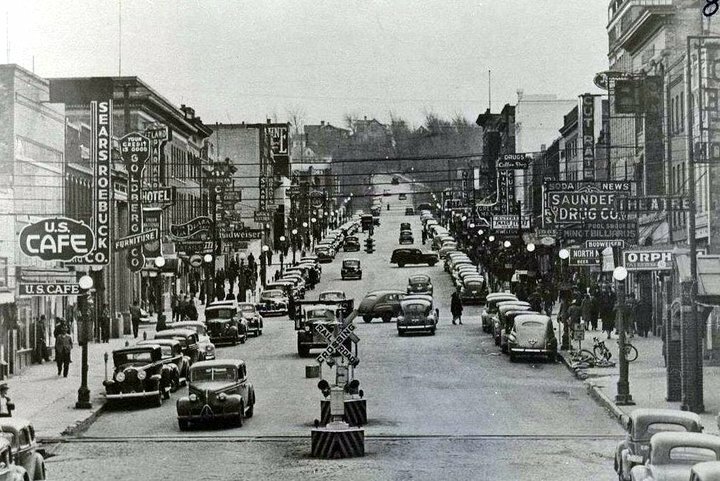 When asked about using the name “Magic City”, the response in the Minot Daily Reporter was as follows: “While growth in Minot did not show “mushroom growth”, if one looks at the list of improvements attained in the city you would see the growth that has been going on for the last few years is substantial and geared towards the future.